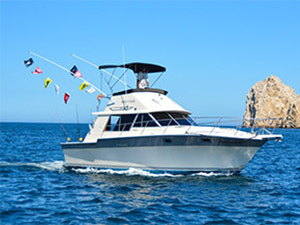 Welcome to Sea Fever sportfishing service in Cabo San Lucas, Baja California Sur. 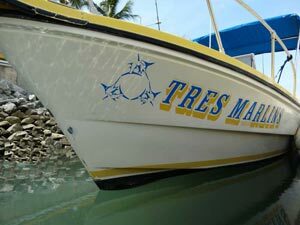 With over 20 years in the sport fishing business we pride our selves in delivering sportfishing adventures of a life time. 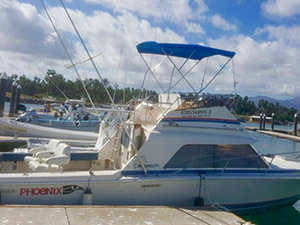 The sea life and Pelagic species (Marlin, Wahoo, Tuna, Dorado- Mahi-mahi) are abundant in these pristine waters of paradise of the Pacific and Gulf warm waters. 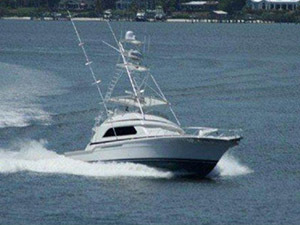 Our teams have a commitment to our selves to provide outstanding service and sport fishing for all levels of enthusiast, whether it’s your first time on a boat and just want to catch a Marlin, OR you’re searching for the top WINNING tournament crews for your next Million dollar tournament. Our Crews have been selected the best of the best year after year, because of our results, and have the recent prize money to prove it. 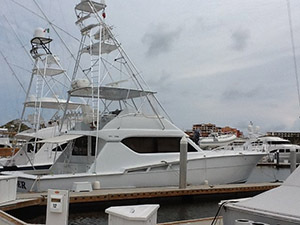 At Sea Fever sportfishing our crews has earned a combined total of over 3 million dollars in Cash earnings between 2010 to 2015. 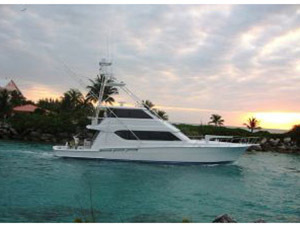 We are committed to excellence in SPORTFISHING. 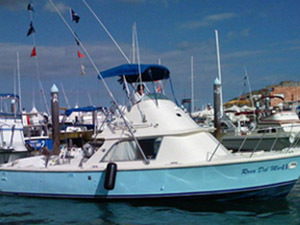 Your experience sport fishing will be a memory of a life time! 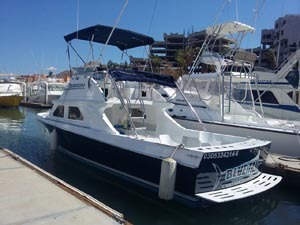 We have put together the top vessels and yachts in Baja California. 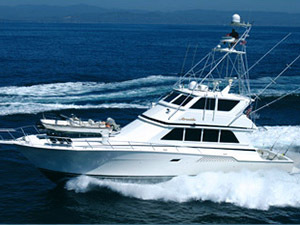 All our teams, boats and yachts have been hand picked by expertise and consistent top tournament winners year after year. 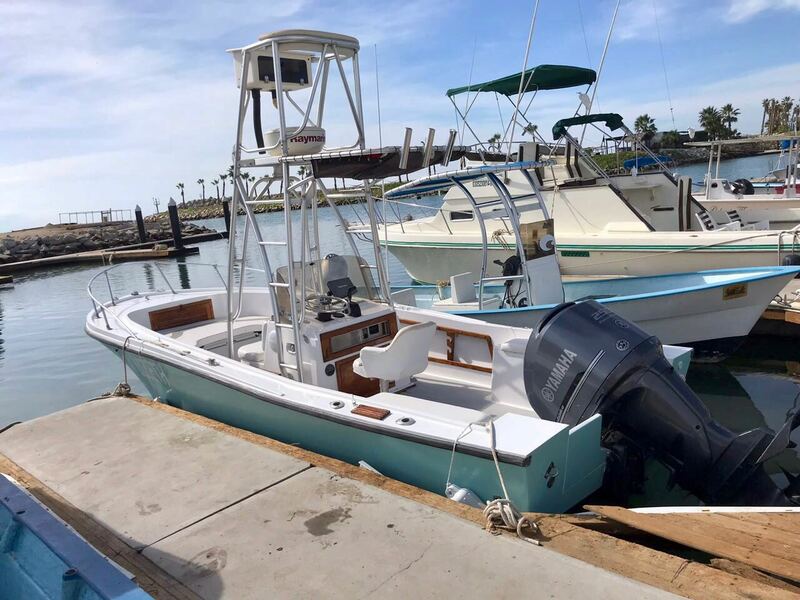 With Sea Fevers Sport fishing rest assured that at any level of sport fishing expertise that you are our teams will deliver the fishing adventure you expect. 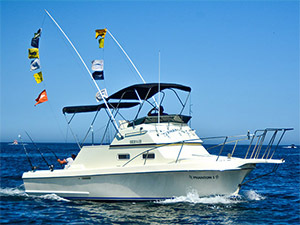 Our boats have taken top awards in all the East Cape circuit tournaments. 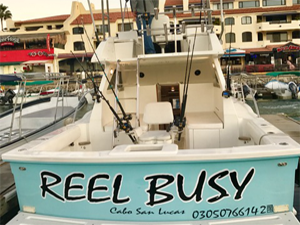 SportFishing waters around Cabo continues to produce an incredible amount of multiple Marlin hook ups even when the Cabo san Lucas sport fishing season is slow our sport fishing is still pretty good year round. 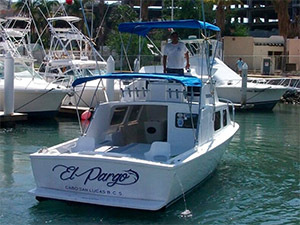 Marlins are caught year round as well as Dorado, tuna and Wahoo are many of pelagic game fish species caught in Cabo San Lucas. 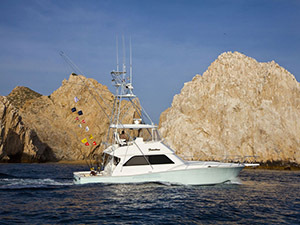 The Cabo San Lucas waters produce over 40,000 billfish hook-ups a year. 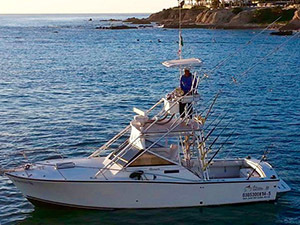 Striped Marlins are routinely caught right outside the Cabo San Lucas marina but larger Blues marlin, and Sailfish are generally found in the submerged banks around the famous Golden Gate bank and San Jaime Banks on the Pacific side or the Gordo Banks on the Cortez side. 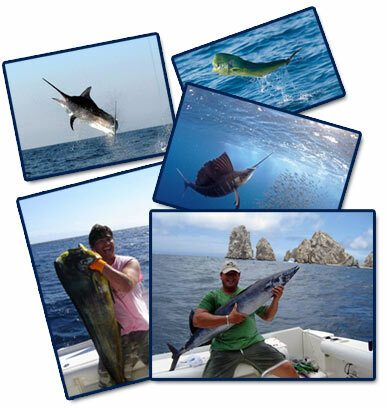 A typical sport fishing day in Cabo San Lucas fishing involves pulling lures or live baits around these banks and casting baits to Marlin, Sailfish, Dorado and Tuna along the drop-offs and underwater canyons. 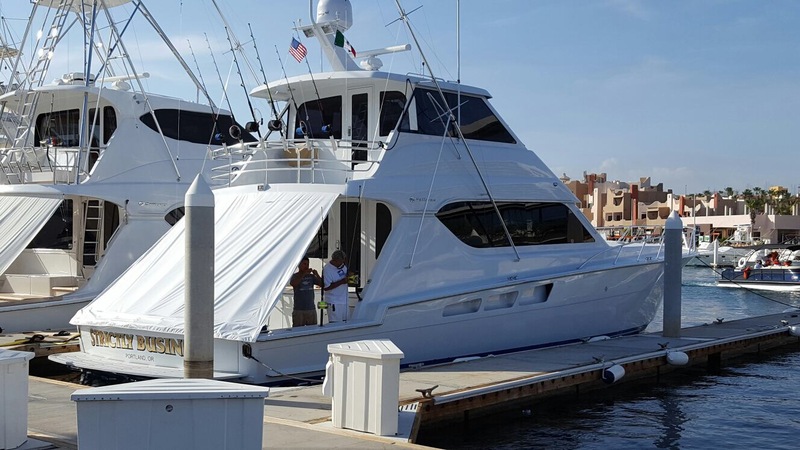 We at Sea fever sportfishing know you will continue to fish with us over and over again as many of our repeat clients choose to charter the best vessels in Cabo San Lucas. 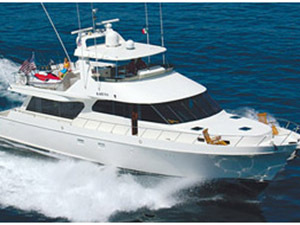 Don’t risk your money fishing on some old beaten up boat that smokes more diesel then an old bus. Or non English speaking crew that will only take you for an expensive cruise around the point. 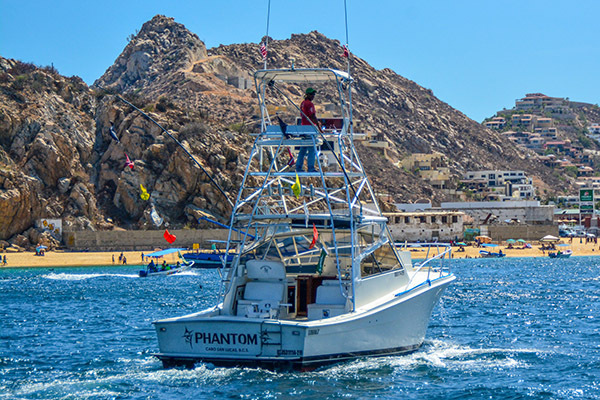 All our crews pride themselves on being the best in Cabo and have a reputation to uphold and must fly the flags of perfect trips everyday to keep there heads up high. When visiting the beautiful Cabo San Lucas don’t forget to try the ultimate in culinary experiences with Cabo San Lucas restaurants featuring an array of vast culinary delights in Cabo. 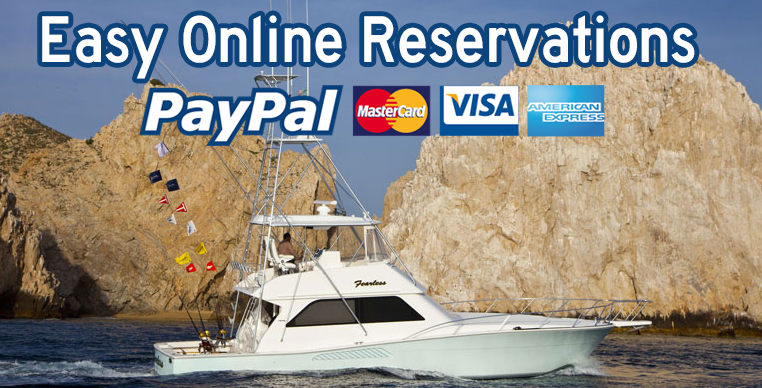 What makes Sea Fevers sportfishing different than most fishing fleets in Cabo San Lucas is that we think you, the angler and our customer, should be the one to one experience every aspect of fishing in cabo San lucas. 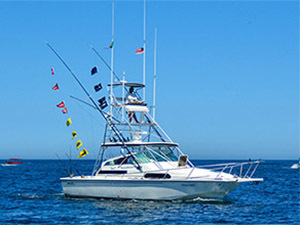 That means you can learn how to rig lures and baits… how to pitch a bait to a teased fish coming up the spread… how to set the hook, PROPERLY…… and most important, how to land your fish, whether you intend on releasing or keeping the catch the choice is yours we offer you the lesson to fish in Sea Fever Sportfishing. 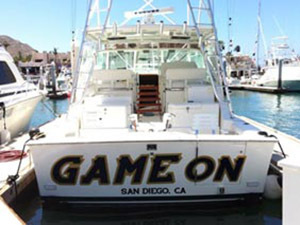 Please do not forget to visit our Sportfishing partners. 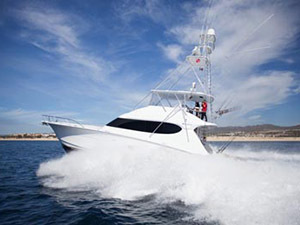 Cabo San Lucas Sportfishing as the Voted the Top Sportfishing company 4 years in a row. 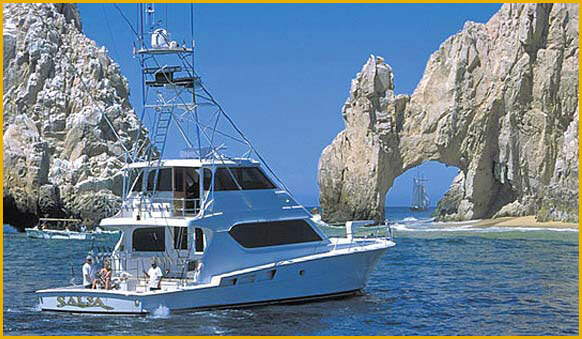 Also a new Cabo San lucas fishing partner company featuring the top fishing vessels in Cabo San Lucas. 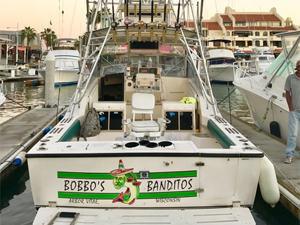 Striped Marlins are routinely caught right outside the Cabo San Lucas marina but larger Blues marlin, and Sailfish are generally found in the submerged banks around the famous Golden Gate bank and San Jaime Banks on the Pacific side or the Gordo Banks on the Cortez side. 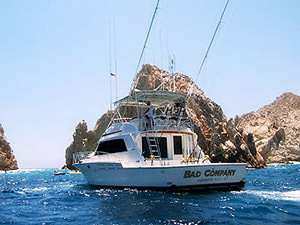 A typical Cabo san Lucas fishing involves pulling lures or live baits around these banks and casting baits to Marlin, Sailfish, Dorado and Tuna along the drop-offs and underwater canyons. 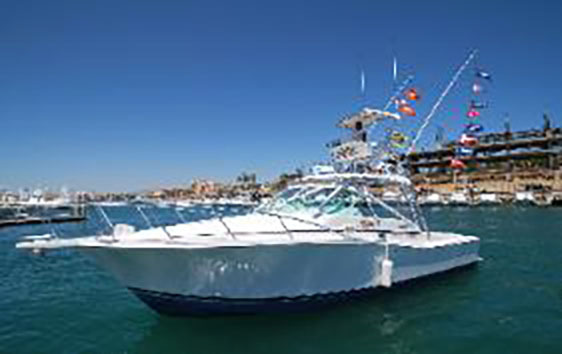 We at sea fever sport fishing know will continue to fish with us over and over again as many of our repeat clients choose to charter the best vessels in Cabo San Lucas. 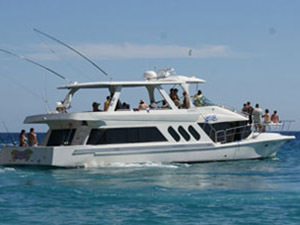 Don’t risk your money fishing on some old beaten up boat that smokes more diesel than an old bus. Or non English speaking crew that will only take you for an expensive cruise around the point. 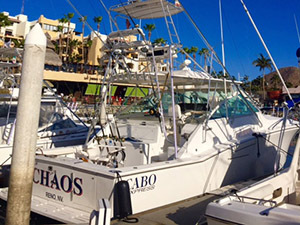 All our crews pride themselves on being the best in Cabo and have a reputation to uphold and must fly the flags of perfect trips to keep there heads up high. When visiting the beautiful Cabo San Lucas don’t forget to try the ultimate in culinary experiences with Cabo San Lucas restaurants featuring an array of vast culinary delights in Cabo. 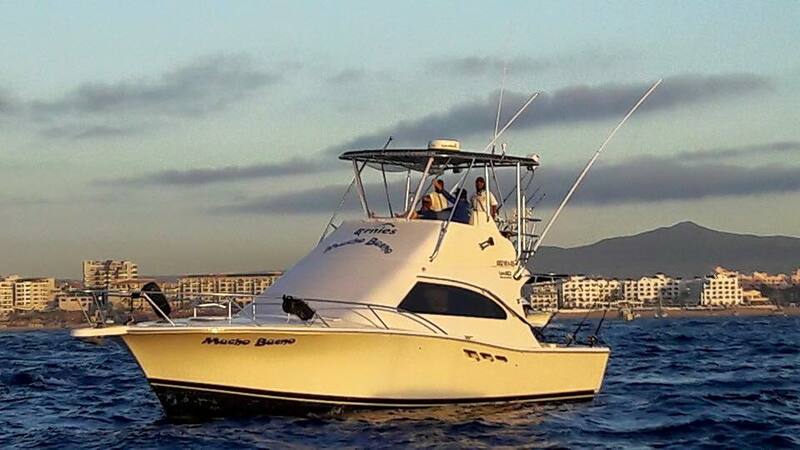 What makes sea Fevers sport fishing different than most fishing fleets in Cabo San Lucas is that we think you, the angler and our customer, should be the one to experience every aspect of fishing in cabo San lucas. 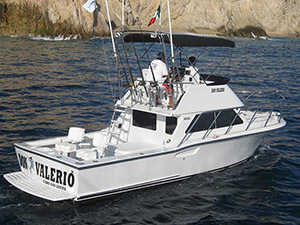 That means you can learning how to rig lures and baits… how to pitch a bait to a teased fish coming up the spread… how to set the hook, PROPERLY…… and most important, how to land your fish, whether you intend on releasing or keeping the catch the choice is yours we offer you the lesson to fish in Cabo San Lucas. 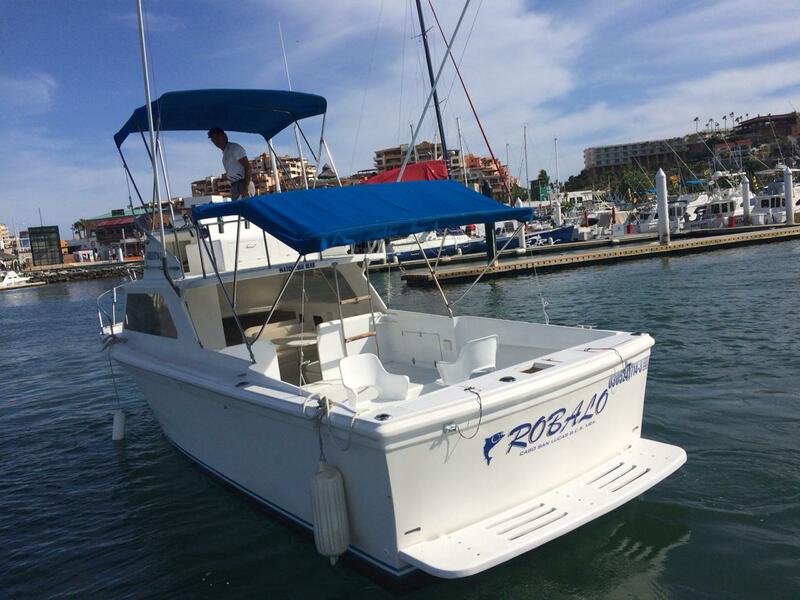 Cabo San Lucas sportfishing , Cabo San Lucas Fishing boat rentals – Los Cabos sport Fishing Boats. 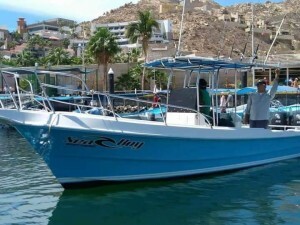 Cabo San Lucas sportfishing Charters , Cabo San Lucas SportFishing boat rentals – Cabo Cabo San Lucas fishing charters.